Hair plays an important role in people’s physical appearance and self perception, so it can be devastating to experience hair fall and the situation becomes worse when there doesn’t seem to be anything that you can do about it. Hair loss is a mammoth problem that many people are suffering from. Poor nutrition, stress, pollution, deficiency of vitamins and nutrients, lack of adequate sleep, unhealthy lifestyles and hormonal problems are a few of the major factors of hair fall. There are a lot of products available in the market that guarantee you to stop hair fall in a few weeks or so but I haven’t found out any such product that really stops hair fall. The commercial products are loaded with harmful chemicals and I do not think that they do any good or are really helpful in stopping hair fall. Recently I have been trying a lot of hair care DIY’S that have really helped me to stop hair fall and to promote hair growth. Diy’s are a bit difficult to prepare, they require a little bit of extra time but trust me when it comes to hair fall nothing works better than home prepared diy’s. First of all, they are natural, secondly they do not have side effects and the third benefit of using diy’s is that they are super effective. I believe home remedies can treat all your hair related problems and give you long, lustrous, shiny, bouncy and healthy hair. 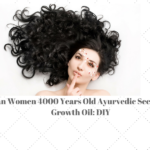 If you really want to naturally regrow your hair and want to stop hair fall completely try this homemade diy hair oil blend and I guarantee you will never ever go back to any commercial products again. I was suffering from hair fall, oily scalp, that would turn oily every other day and I was sick and tired of washing my hair almost everyday. But ever since I have started using natural hair care products my hair is much more healthier, my scalp is hundred times less oily, my hair is growing at a very fast pace, I can see new hair growth on my hairline, my hair is much more bouncier and feels thick and healthy. Try and corporate natural ingredients into your skin care and hair care regime and see the magic happen for yourself. 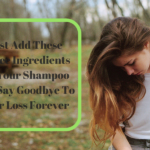 So today’s diy is hair oil mix that consists of only three ingredients and it is a super effective remedy for stopping hair fall, massaging with this hair oil blend is going to help you grow your hair at a very fast pace and it is going to make your hair very healthy and is going to solve all the other hair related problems. 1.5 Tbsp of Castor oil. 1.5 Tbsp of Grapeseed oil. 8-10 drops of Rosemary Essential oil. Take 1.5 Tbsp of castor oil in a bowl, mix in 1.2 Tbsp of Grapeseed oil in it. Mix it well.Castor oil is a bit thick so you need to mix in both the oils properly. Next add in 8-10 drops of Rosemary Essential oil. Take a pot with hot water and put the bowl of this oil blend in it to warm the oils. I am not using a microwave to warm the oil because grapeseed oil is a cold pressed oil and heating it would not be appropriate. After the oils become a bit warm you can apply it on your scalp. Detangle your hair and part your hair in sections. Take a cotton ball, dip it into the oil mix and start applying it to your scalp. Cover your entire scalp with the oil and whatever is left you can apply it on your hair length. After you have applied the oil start massaging your scalp with very light pressure. Use your fingers tips to massage the oil into your scalp. Remember not to apply too much pressure as a hair massage should soothe and calm the senses and applying too much pressure is not advisable during a head massage. After the massage de-tangle your hair with a wide tooth comb and braid your hair. You can leave this oil on your scalp from anywhere between 3 hours to overnight. I personally like to keep the oil overnight as it gives the oil enough time to seep into the scalp and work much more effectively. If you do not want to keep it overnight, keep this oil on your scalp for at least 3 hours because keeping it any less than 3 hours won’t solve the purpose. After I get up in the morning I give a hot towel treatment to my scalp and that helps the follicles of the hair to open up and also helps the oil to penetrate deep into the roots of the hair which makes the hair follicle strong and also promotes hair growth. 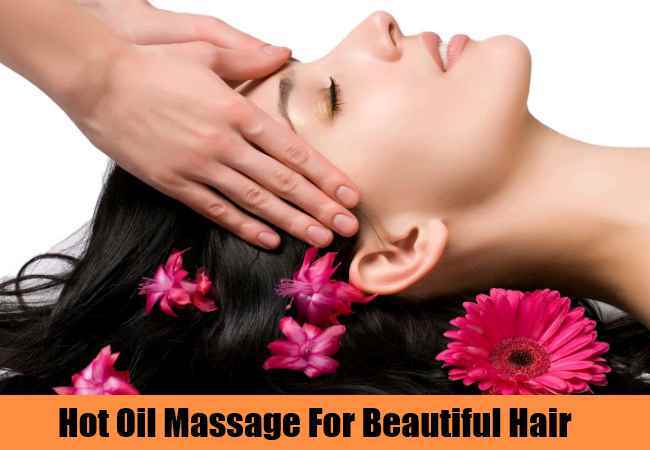 Hot towel treatment is a necessity after this hair oil massage as it is very important to open the follicles of the hair so that the oil penetrate into the shaft and the roots and promote hair growth and healthy hair too. After keeping the towel on your hair for 15 minutes wash off with any sulfate and paraben free shampoo. You do not need to use a conditioner after this hair oil massage because the oil mix is nourishing enough and it makes the hair very soft and smooth. 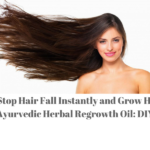 This hair oil mix is going to stop your hair fall after the first usage itself. It is super effective in treating hair fall and makes the hair so soft and silky. I have a very oily scalp, my hair turns oily on the very second day of the hair wash but ever since I have started using this hair oil my hair my scalp does not become oily at all. Today is my 3rd day after the hair wash and I think I will wash my hair tomorrow which means on the 4th day after the hair wash. My scalp is much less oily after using this oil blend so anyone who has a problem of oily scalp please go ahead and try this DIY because it is going to solve oily scalp problem to the core. Trust me. I am so happy that after using this oil mix it has eventually solved the problem which could not be solved by so many oil control shampoo and oil control hair mask. This simple oil blend solved that oily scalp problem in a jiffy. You can use this hair oil blend once a week or twice a week. Grapeseed oil is obviously the oil of grapes. It is usually extracted from the seeds that are normally discarded in the wine making process. Grapeseed oil offers a lot of health benefits too and is a great way to use as a by-product that would have been otherwise wasted. 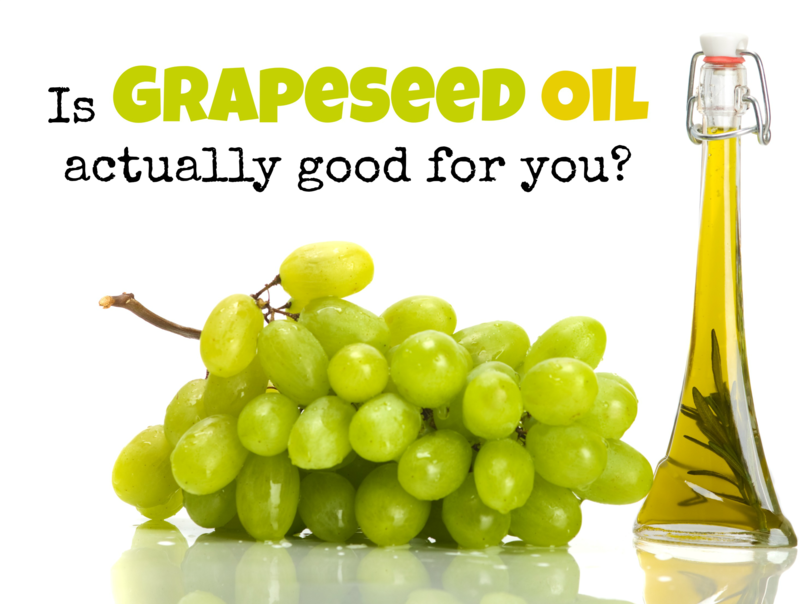 Grapeseed oil is also edible and it is slightly nutty in taste. It is considered as a polysaturated oil, and is it beneficial because of its linoleic acid content. Cold pressed organic grapeseed oil is the ideal variety to choose, it is a bit more expensive than the chemically pressed oil but it is hundred times more effective than the chemically pressed one. If you prefer to choose the cold press grapeseed oil then be particular to check the labels of any oil that you buy. If it doesn’t specially mention that it is organic and cold pressed then it is probably chemically extracted and that is what you do not want. I will be adding a link to cold pressed, organic grapeseed oil that I have been using for the past 1 month and it is super effective so if you want to buy it you can click on the link given down below. Grapeseed oil is a great choice for hair care because it contains a lot of Vitamin E which is essential for hair growth and for healthy hair. The extensive proteins, mineral and the linoleic acid make it an ideal choice for hair care. 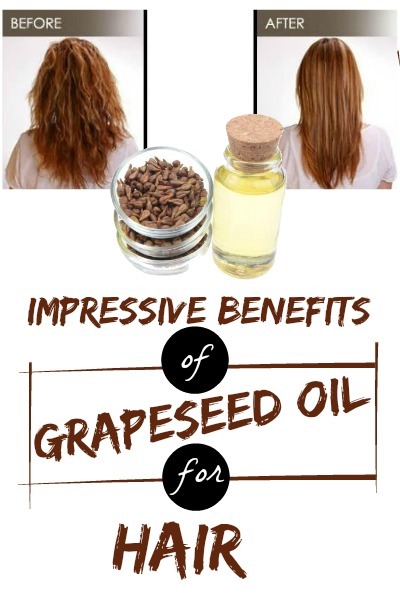 Hot grapeseed oil treatment will help your hair look shiny and healthy. It also helps to prevent dandruff, it absorbs into the hair and help strengthen each strand from the roots which helps prevent split ends, thinning of hair and also hair breakage. 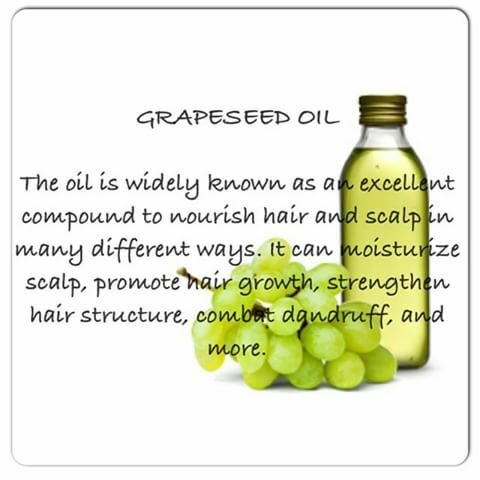 It also smoothens the cuticles of the hair and helps to make it frizz free.You can use grapeseed oil on its own to massage your scalp with it and it will yield you a lot of benefits.Compared to other oil it is practically weightless and much more lighter which makes it great for using in a lot of hair care products. Castor oil is a bit thick in consistency so you need to mix it in another oil to make it easy to apply. 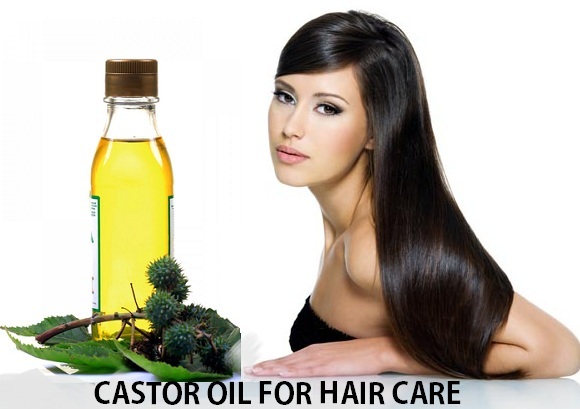 I have used castor oil in many hair care remedies and it is such a wonder oil which helps to make the hair thick and also control the hair fall. Castor Oil has natural antibacterial and antifungal properties and is rich in Vitamin E, minerals, protein, Omega 6 and 9 beneficial fatty acids. It is unusually high in Ricinoleic acid makes it very beneficial for hair. Castor oil can be used on the scalp to prevent hair loss and its antibacterial and antifungal properties make it beneficial for treating dandruff and scalp infections. Its Ricinoleic Acid content help increase blood circulation to the scalp and improves hair growth. Ricinoleic Acid is also said to help balance scalp’s PH which can also help replenish the scalp’s natural oil and some of the damage of chemical hair products. The antioxidants in Castor oil also supports Keratin in the hair and help make the hair stronger, smoother and less frizzy. 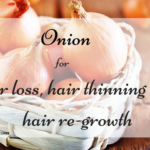 It is one of the most effective home remedies for dry scalp, hair thinning, split ends and hair loss. Being rich in proteins, minerals and Vitamin E Castor Oil works as a magic potion for your hair. Rosemary oil is an essential oil extracted from the Rosemary herb. Considered sacred by the Ancient Greeks, Romans, Egyptians and Hebrews Rosemary Essential oil is one of the most powerful essential oil on this planet. Mixed in a carrier oil Rosemary Essential oil helps to stimulate hair growth. Many people also claim that it can prevent baldness, stop greying of the hair and can also be used to treat dandruff and dry scalp. Regular massaging of the scalp with Rosemary Essential oil nourishes the scalp and removes dandruff. 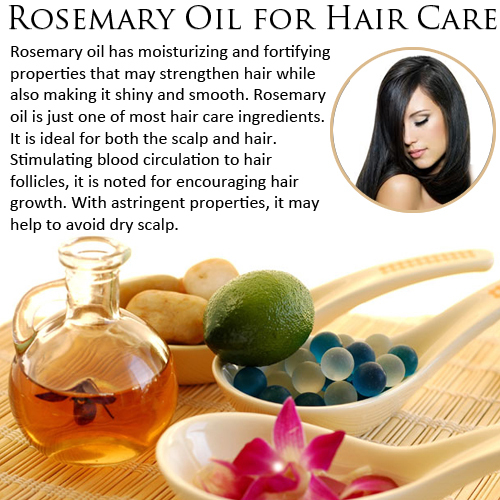 Rosemary Essential oil has a huge list of therapeutic properties which have made it an ideal oil for hair care. 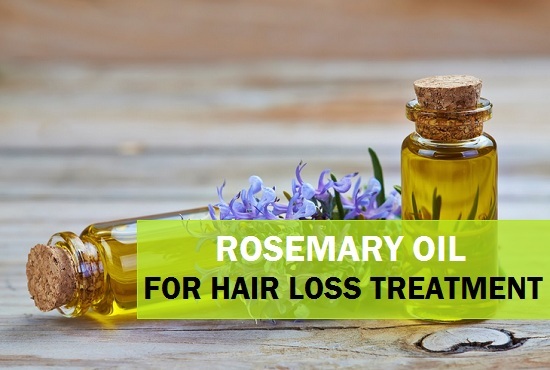 Rosemary Essential oil helps to speed up the growth of the hair so people who want to increase their hair growth rate can use few drops of Rosemary Essential oil in a carrier oil and use it to massage their scalp. Applying Rosemary Essential oil on the scalp helps in growing hair on the bald patches and also prevent fungal scalp infections. 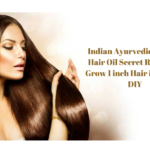 This hair oil blend works as a magic on your hair, it is going to solve all your hair care problems and is also going to give you healthy hair and a very healthy scalp. Try and use this hair oil blend and see how fast it works and makes your hair healthy without putting any extra effort and without spending loads and loads of money on fancy hair care products too. Do try out this hair oil mix and share your experiences with me. I am sure you going to love your hair after using this hair oil. You can buy Grapeseed Oil: HERE. You can buy Castor Oil: HERE. You can buy Rosemary Essential Oil: HERE. 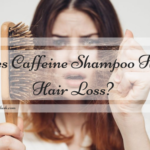 Does Caffeine Shampoo Help Hair Loss? Lovely! Is Grapeseed oil easily available in the market or do I need to buy it online? Anumeha actually I live in a small town where grapeseed oil wasn’t readily available, so I ordered it online.You can look for it in the market and if it is not available you can order it from the link that I have provided in the end of the post. The Sula Grapeseed oil is really great, do give it a try. i will try this one as well 🙂 so many DIY ideas ypu shared…all of them sound greata..
Do try it Anubhuti, it surely works.